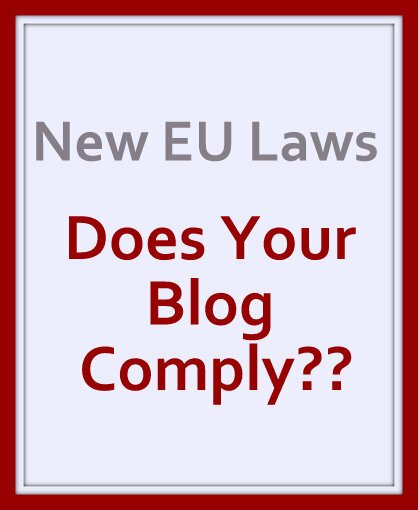 Does Your Blog Comply With The New EU Laws? If you have a Blogger Blog you would have seen the following message show up on your Overview. 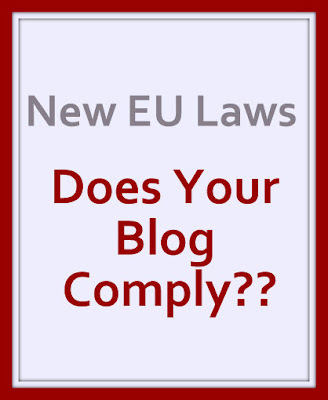 "European Union laws require you to give European Union visitors information about cookies used on your blog. In many cases, these laws also require you to obtain consent. As a courtesy, we have added a notice on your blog to explain Google's use of certain Blogger and Google cookies, including use of Google Analytics and AdSense cookies. You are responsible for confirming that this notice actually works for your blog and that it is displayed. If you employ other cookies, for example by adding third-party features, this notice may not work for you. Learn more about this notice and your responsibilities." Blogger very kindly automatically implements an appropriate pop-up on your site for the relevant countries. For Blogger blogs that do not have a custom domain name they can view how this notice looks on their site by following these instructions. "To see the notice if you’re outside of the EU, view your blog and change the country code, for example blogspot.fr or blogspot.co.uk. " "If you use a custom domain, you won't see the notice outside of the EU." 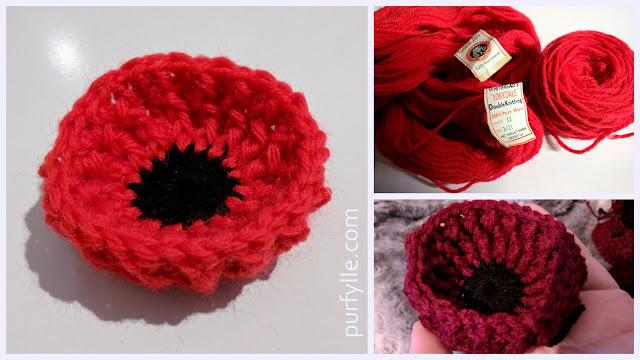 Is the automatic pop-up notice sufficient for your blog? From what I understood, without having to turn into a legalese boffin the answer is "possibly not", especially if you use advertisements or plug-ins on your site. That means you will need to do some more reading up on what you need to do to comply with the new laws. A good place to start finding out more is clicking on the 'Learn More' link referred to above, which will take you to a Google article that provides more information on what you need to do to comply with the new laws. 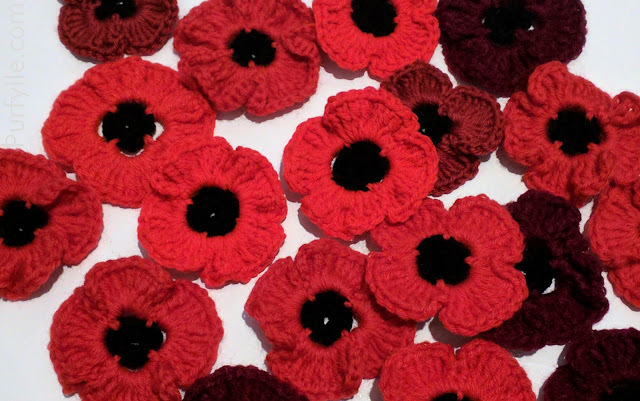 This article provides links to even further information including how to change the notice. I personally believe there is no such thing as privacy on the internet and you shouldn't use the internet if it worries you. Of course the law doesn't care what I believe so I do my best to comply as necessary and so should you. As for bloggers who blog on other platforms such as Wordpress you will also need to comply with the laws and may have other resources available to you to help you to comply with these new laws. If you have any further information on this topic please share in the comments and feel free add links that may be helpful. Google recommends seeking your own legal advice in regards to what you need to do to comply with these laws. I would like to add my voice to that recommendation and also take this opportunity to point out that the intention of my post today is to let you know I understand there is a new law that may effect you; that in no way is it my intention to provide legal advice on what action you should take to comply with said laws and I will not be held responsible for any action you may take after reading this article. Any and all further disclaimers I need to make to cover my ample backside in this crazy litigious world are implicit within this statement . Thank you for this information, Stella. Like you, I read link after link. After throwing my arms up, you inform us what I was thinking about doing. I'll update and follow your suit. Thank you!! It's so much information isn't it? I'm sure this stuff is far more important to big multinationals making huge amounts of money and not so much to us little bloggers who are doing our best to blog legally. Good stuff to know! I am going to do a little investigating now. Thanks! Btw, I love your ending disclaimerl! Useful tips here. Thanks for sharing!! It's a topic I was hesitant to give to much of an opinion on. I'm glad it was of some use. I've been wondering about that very thing, thanks for you 2 cents on it. I sort of ignored it for the first few days but then it came up in a discussion and so I thought I better stop ignoring it. I think I could have read about it for a week solid and not been much the wiser. Thank so much Rosie! Yours didn't for .com.au but it did for .co.uk So you're all good to go! Does this apply to American blogs? I'e not heard of it before. It applies to all blogs that get read by Europeans. So yes, it will apply to your blog too.